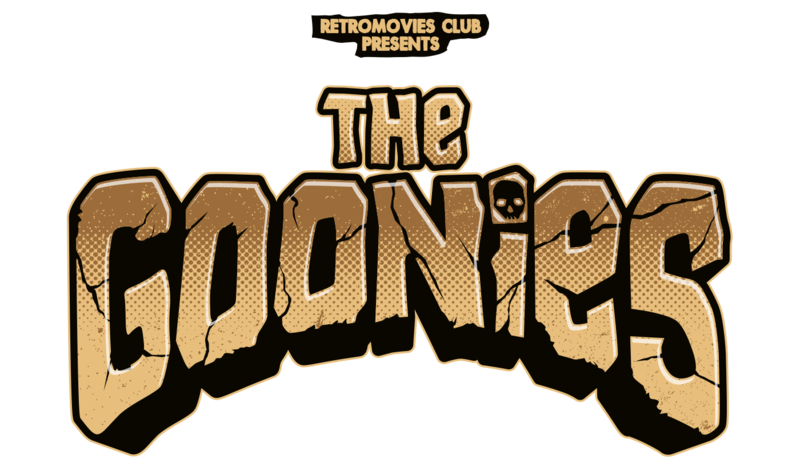 A few weeks agao, i've been contacted again by the retromoviesclub from mons ( You may see the badges and stickers I've already made for them on my behance portfolio). This time, they wanted me to design the poster for their next event. 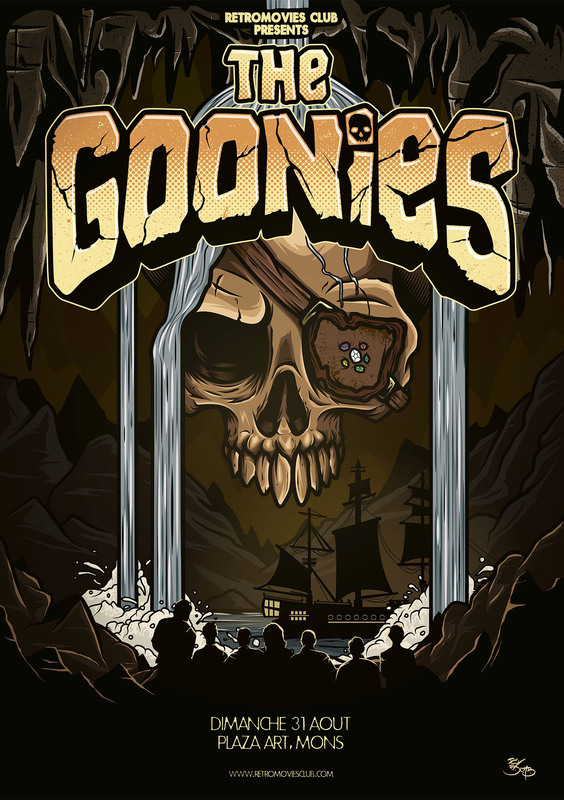 This time they're going to show THE GOONIES. Famous film from Richard Donner, Steven Spielberg & Chris Columbus. 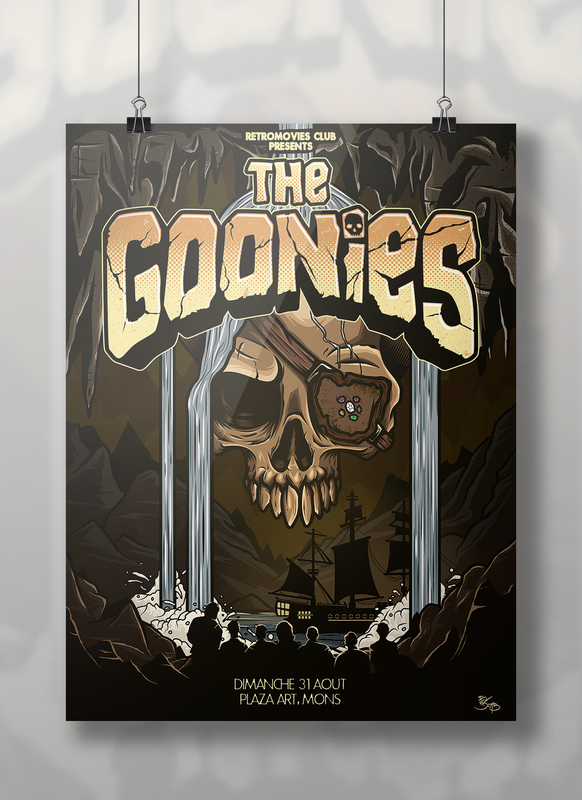 I was kind of free on this piece, but I also wanted to stick to the Goonies mood. Grey / yellow / brown colors, pirate feels. Here's what I came up with. I heard internet loved gifs and wips. So here's a mix for you.